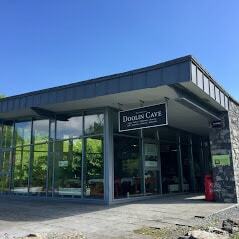 The centre includes our spacious tea rooms, serving home-made soups, light meals, cakes and desserts, as well as a wide selection of hot and cold drinks. Visitor may work up an appetite touring the cave, (don’t forget the 120 steps!) and many visitors find that a meal or drink in the cafe is the perfect way to round off the trip and recover their strength. 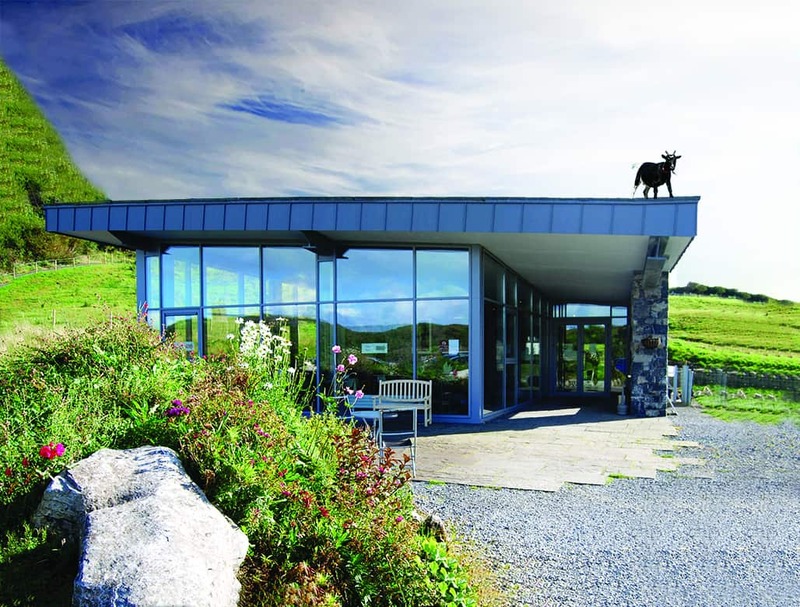 The Doolin Cave Visitor Centre accommodates the reception building for the cave, home of Europe’s most significant wonders of nature, ‘The Great Stalactite’. 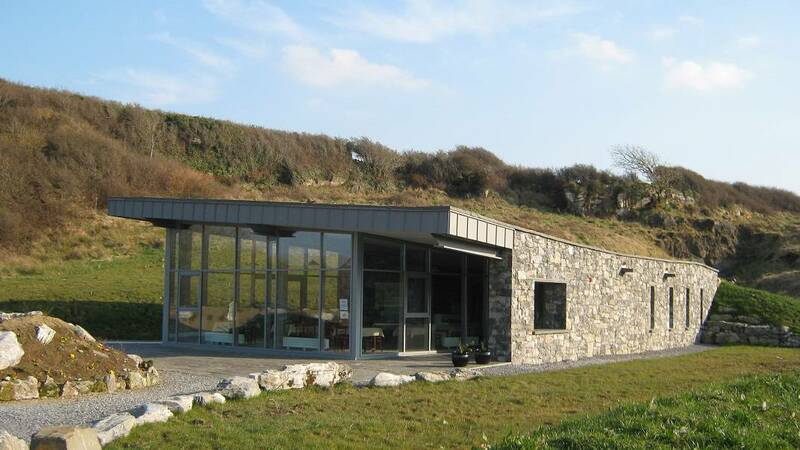 The architects’ brief was to provide a bespoke visitors’ reception building for Doolin Cave that would be sympathetic to the existing underground complex and over-ground landscape, to create an indoor-outdoor space, with maybe one or more sides open to the weather, with special emphasis in sustainable design, eco-friendly materials and would be low/neutral carbon emission. Finally, to produce a design that would be ‘reclaimed’ by the natural surroundings over time. 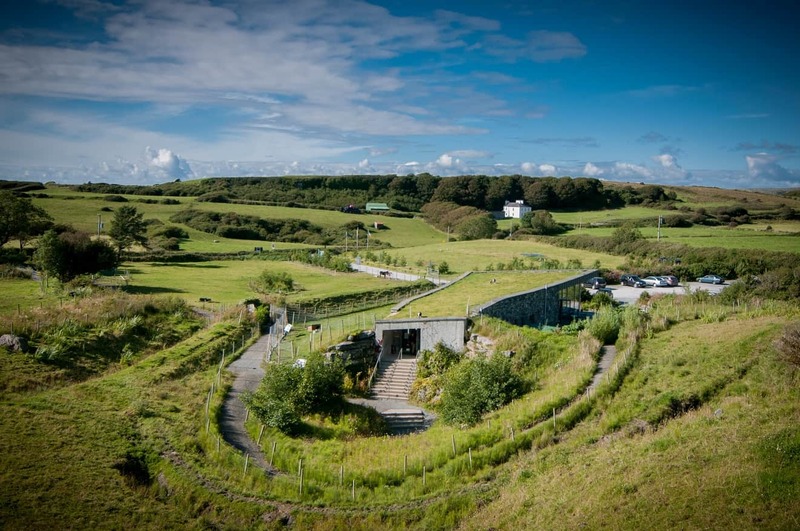 The green roof, at the same time as providing shelter and insulation for the premises, also absorbs the rainwater reducing the storm water run-off and creates a natural habitat for local wildlife. This roof contributes to the reduction of heat loss and energy consumption in winter conditions, reduces cooling loads and provides sound insulation. The design process has resulted in a contemporary building blending harmoniously into the landscape and offering the public a very welcoming and enjoyable experience as a preamble to the ‘Great Stalactite’.